Different studies have reported that propolis have some specific compounds depending on the origin such as prenylated derivatives of p-coumaric acid in Brazilian propolis. However, the basic composition is quite similar for all of them, 50 % of phenolic compounds, 30 % wax, 10 % essential oils and 5 % pollen. Taking it into account, the aim of this work was to study if it is possible to classify propolis samples according with their origin on the basis of their phenolic composition and antioxidant properties determined by standard methods. To do this, the total contents of flavones and flavonols, flavanones and dihydroflavonols, and the antioxidant capacity by using the methods of ABTS and linoleic acid/β-carotene were analysed in 94 samples of propolis from Spain (Galicia n=14 and Castilla y León n=31 regions) and Chile (Biobio region n=49). For classification purposes, a multi-layered feed-forward network with back-propagation was used for predicting the geographical origin of propolis. The weight, the seed value and bias matrix were randomly initialized. The input layer had seven neurons (analysed parameters) and seventeen or seven neurons in the hidden layer. Two (Chile or Spain) or three (Chile, Castilla y León or Galicia) nominal output variables were used for classification tasks. The results of the ANN showed that 93.6% of the samples were correctly classified according with country of origin. However if we wanted to classify the samples also according the region (Castilla León and Galicia) the number of samples correctly classified were the 82%. ISNAD REVILLA, Isabel , VIVAR-QUINTANA, Ana María , HERNÁNDEZ-RAMOS, Pedro . "Determination of Propolis Origin Using Phenolic Composition and Artificial Neural Networks". 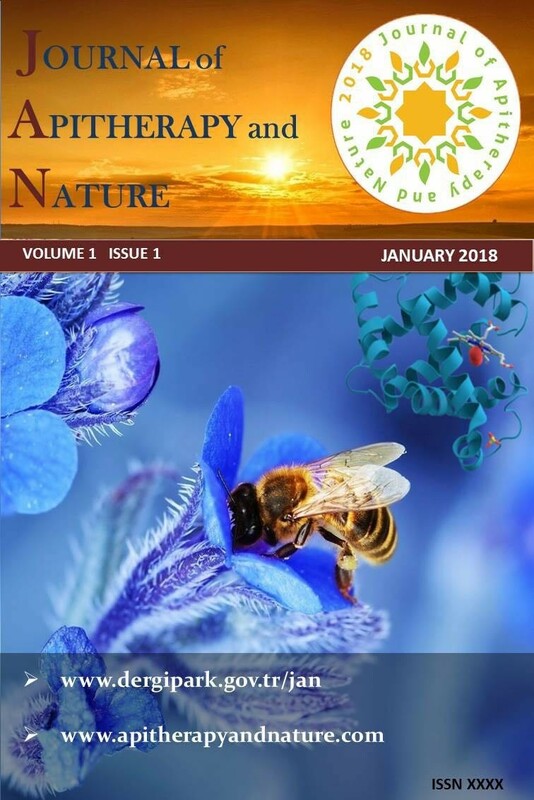 Journal of Apitherapy and Nature 1 / 3 (December 2018): 64-64.